It starts with just a coolness in the air...and then the explosion of color throughout the countryside. Autumn has come to West Michigan, and it's an absolute must to drive around the Ludington and Scottville communities to truly enjoy the color. Search out a pumpkin patch and find your perfect gourd just in time for Halloween. Taste the goodness of the season with some fresh apple cider or creamy hot chocolate. Before the cold winds of winter are upon us, enjoy an afternoon drive around Mason County in October and fill your senses with the vibrant colors of fall. Follow old P.M. Highway south out of Ludington and turn off on any of the country roads, such as Chauvez, Hawley, or Kistler. 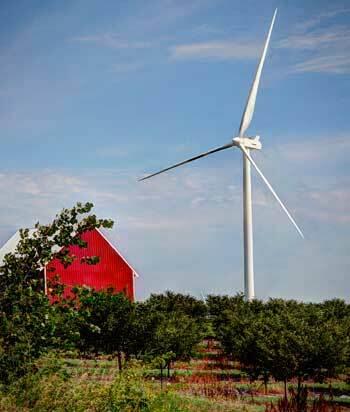 You'll appreciate the beauty of this area, with the Lake Winds Energy Park looming over the farmland. Follow Meisenheimer road west to South Lakeshore Drive. 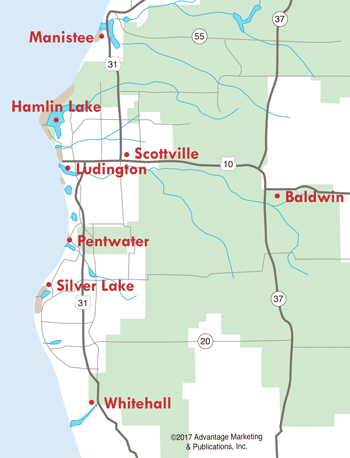 Turn right and drive past the Ludington Pumped Storage Plant...then continue north where you'll find Historic White Pine Village, Buttersville Peninsula, and the cold, brisk winds off Lake Michigan. Take Iris Road back to old P.M. Highway and drive north to US-10. 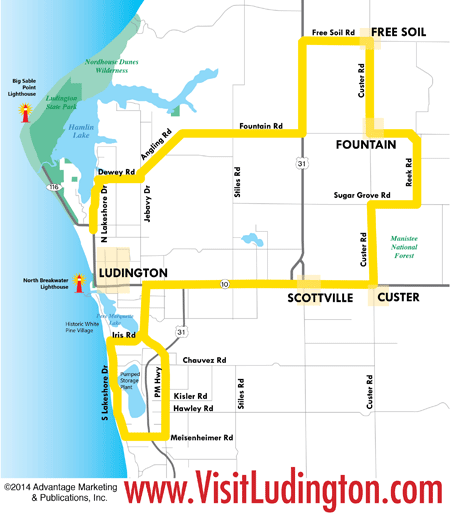 Turn east out of Ludington and head to Custer, then take Custer Road north, Sugar Grove Road east and Reek Road north to Fountain. Turn west on Fountain Road and north again on Custer road to Freesoil. These country roads bypass three small lakes, and it's a spectacular drive in the autumn. Further travel on Freesoil road west brings you to US-31. From there you can turn on Fountain road west to Angling to Jebavy to Dewey. You'll find yourself in the Hamlin Lake area. The shoreline along Lakeshore Drive is especially beautiful--park your car (a perfect place is Long Skinny Park) and look across at the brilliant colors of Ludington State Park. Follow Lakeshore Drive back into Ludington. 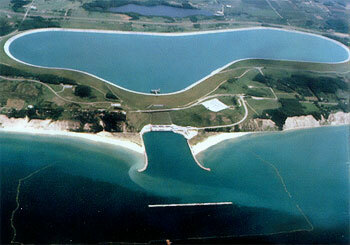 For biking or hiking, you can't beat the Ludington State Park. 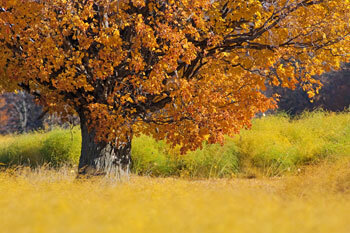 There are nine trails (18 miles) you can choose from, and each one offers magnificent color. You can also visit the Ludington School Forest, located in the Bryant-Tinkham-Sherman areas of town. You can hike or bike the five miles of trails through rich forested land. September and October are fantastic months to get out in Mason County and enjoy the natural beauty that Mother Nature provides in the fall. There's simply nothing better!